The boston red sox tonight as. 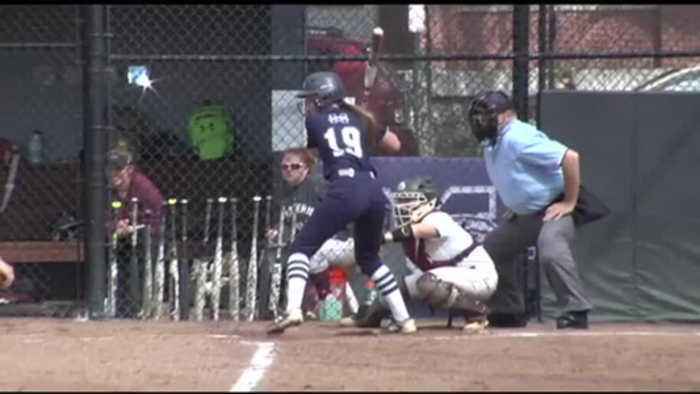 But the number 10 moravian softball team saw their 20 game winning streak and over the weekend in a split with catholic that's ok they have already secured home field for this year's landmark conference tournament. Taking on eastern today in a double header house got on the board with a sac fly in the first top 3rd to out. 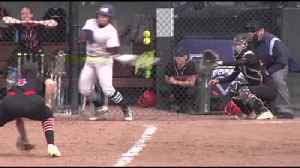 Shannon broken wrist want to right center brook where comes in from second brogan ends up a 3rd of with a triple so it's 2 nothing at top of the 4th kayla find some space up the middle of madison bieber scores to make it 3 nothing greyhound cinda they want done not even close top of the 5th. And shannon brogan to the right side.